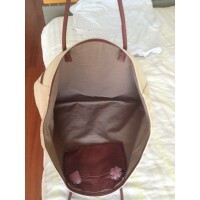 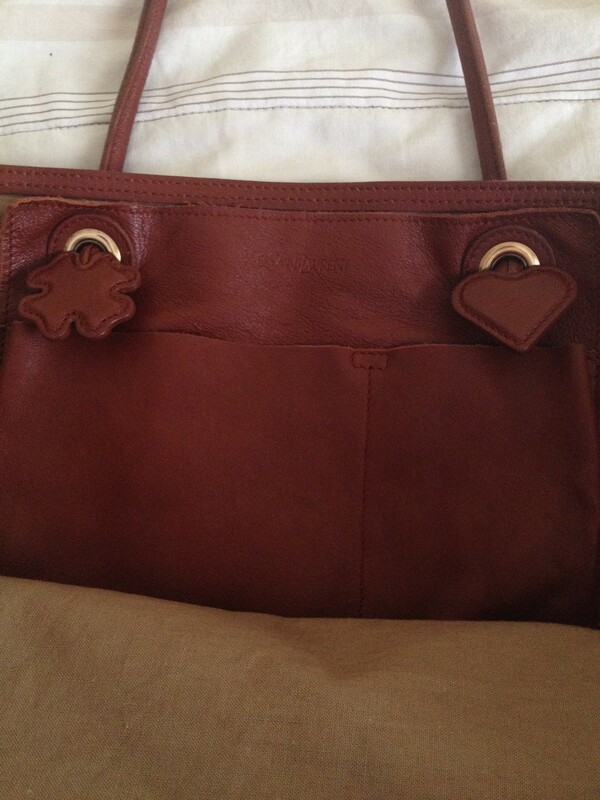 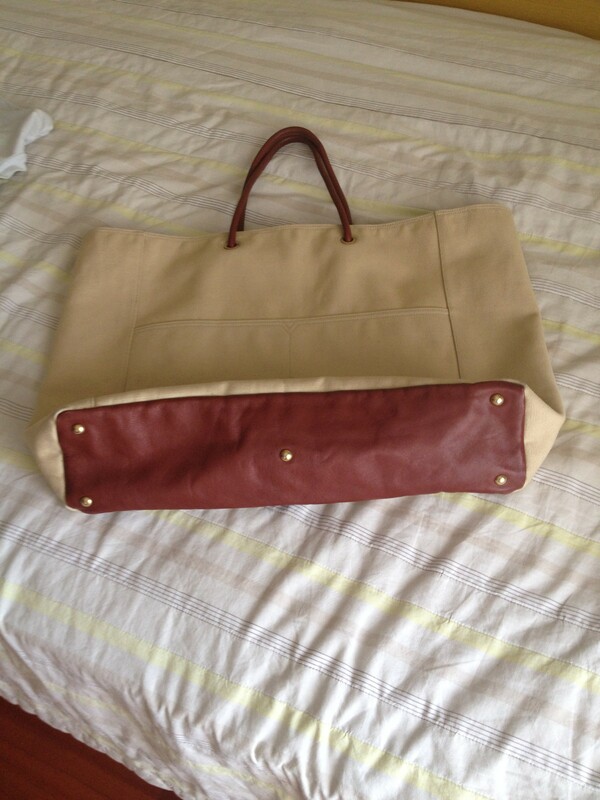 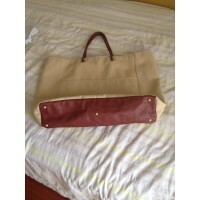 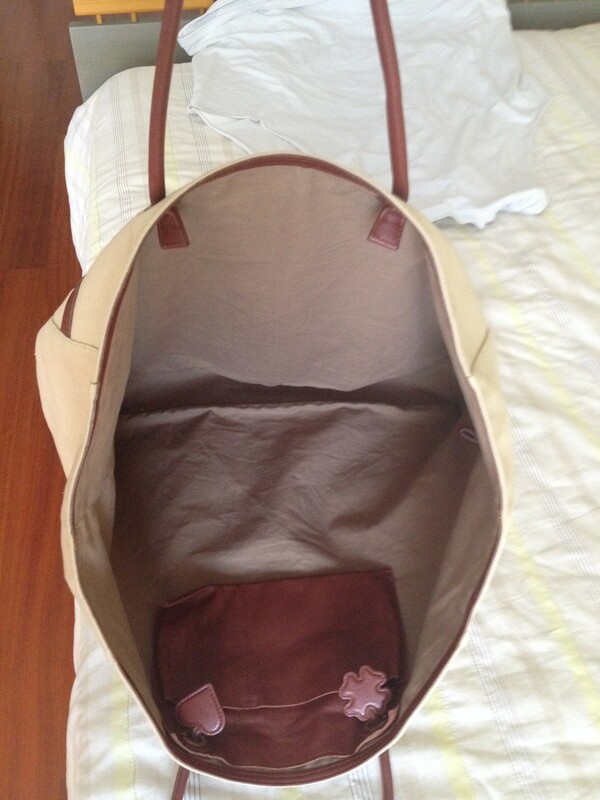 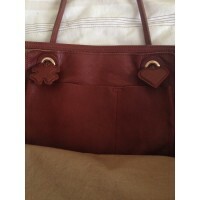 Like new beige cotton fabric and brown leather large tote . 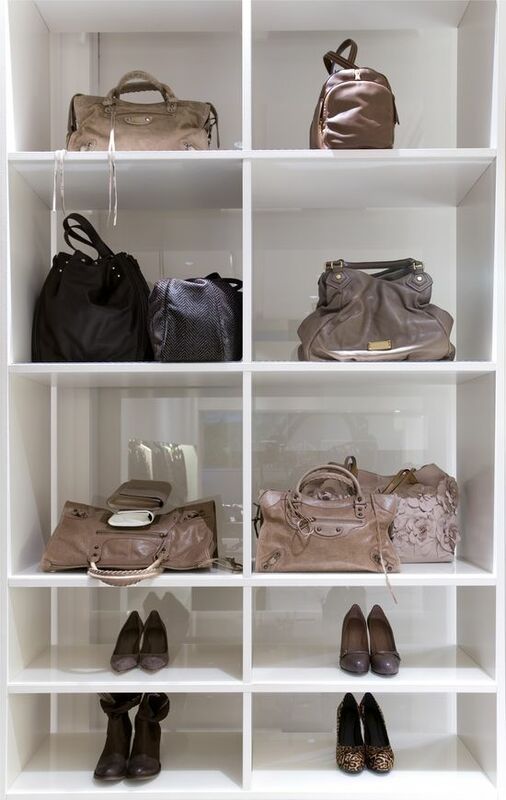 no signs , no flaws . 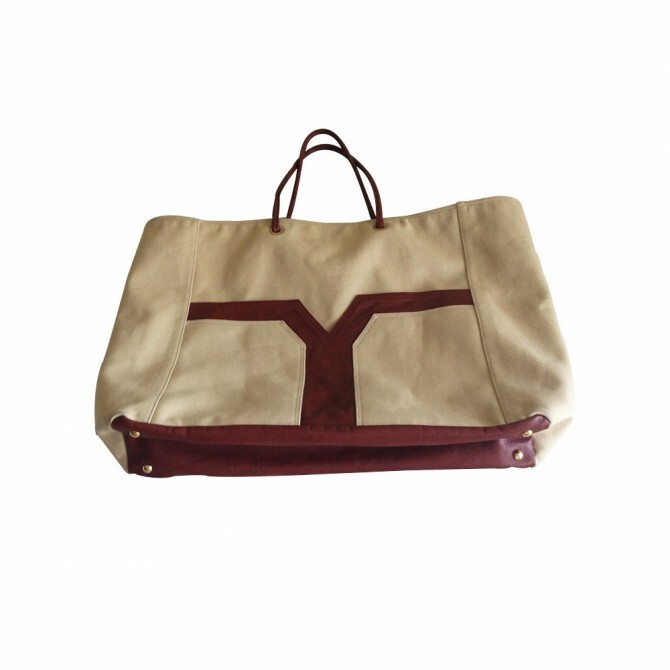 A perfect tote for every day in spring and summer.